Last weekend for Valentines we descended upon Liverpool – a city we had never visited before, but much curiosity brought us here. My good friend Alex, whom lives in Liverpool, gave me some brilliant recommendations – this girl has got excellent taste. We woke early, six am and exchanged Valentines cards (our first as husband and wife), and then set off into a very foggy mist across the Woodhead Pass. 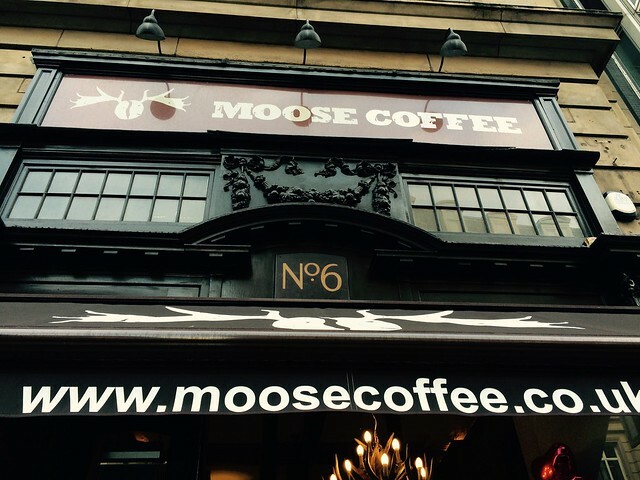 We arrived at ten to nine, which was no better timing for a wander to Moose Coffee on Dale Street. There were queues outside; the promise of a wholesome American breakfast enticed us. I opted for the Vegi Liberty Moose – a pesto infused scrambled egg bagel – yum! We excitedly bonded over breakfast, and then set off in search of Albert Dock, passing the Liver Building and feeling pretty mesmerised. Now there is something so endearing about a city without people – you know the early mornings, when everybody else is still in bed, and you’re alone in the big city. It was a little chilly, but there was just enough warmth to capture our hearts (Imagine this place in the Summer). 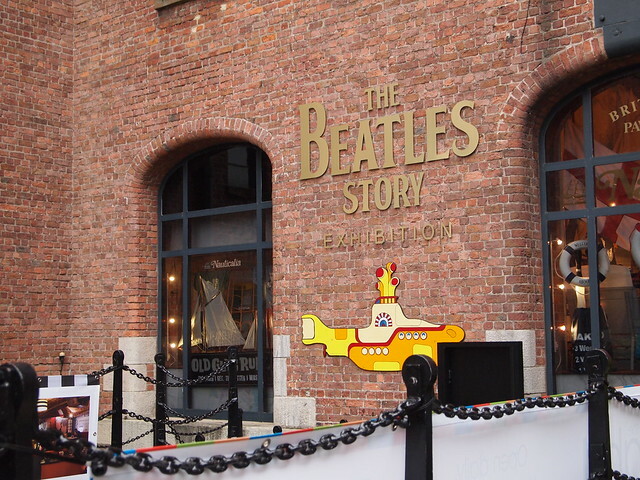 We arrived at our first stop – The Beatles Story. Packed with tourists, we were in for a real treat. I’m quite accustomed to headset tours now, and soon became captured in some Beatles nostalgia. I fell in love with the Yellow Submarine and its various sea life! The sets and props, were pretty incredible and touching. 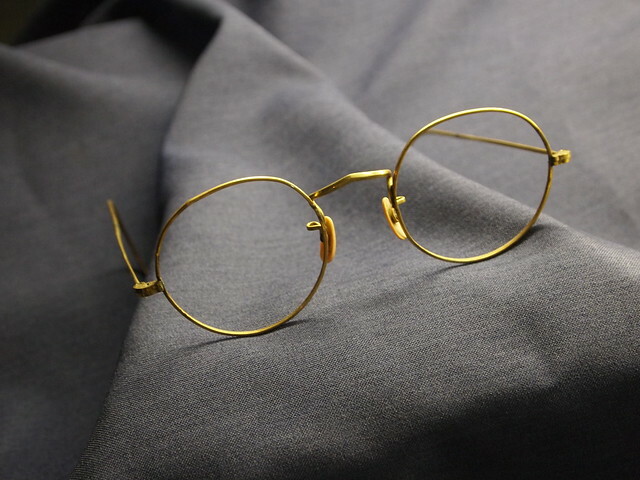 I felt so welled up seeing original instruments, clothing and John Lennon’s infamous rimmed glasses – wow. Great start to our day. 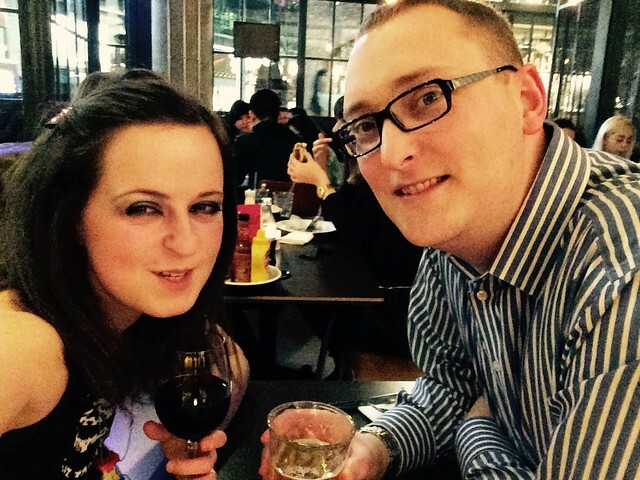 We then had a wander over to Bold Street – thanks both Char and Alex for the recommendations. I was so thrilled with the diversity – thrift, vintage, second-hand, modern & every cuisine you could wish. This street rocks. A Love Bug Hug! From Krispy Kreme. I excitedly jumped up and down in the queue awaiting my Love Bug. We sat and ate our cheeky doughnuts, with a hot chocolate on a bench in Liverpool One (Shopping paradise in a nutshell). 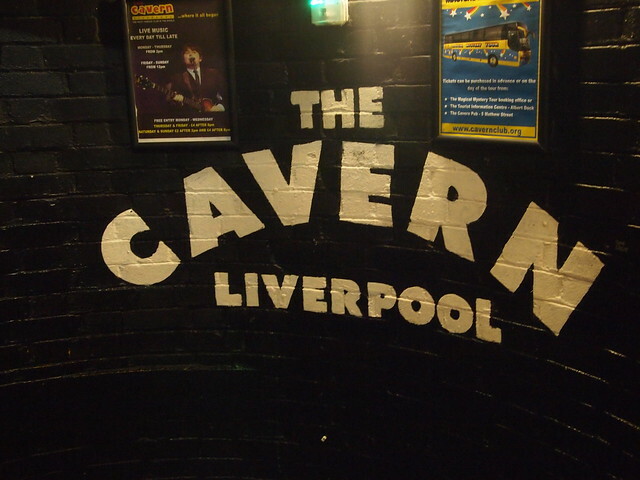 Next stop… The Cavern Club. This was one on the top our list and it’s easy to see why. As we eagerly paid our two pound entry fee around 3pm in the afternoon, and took the long walk down the many stairs into an underground cavern… we joined what can only be described as a common love and bond for music. The club was full – but not rowdy. Instead calm, and full of love. Granted there were a lot of couples, but I’m guessing this club is full of love every day of the year. We found room on a bench, sat, listened to the live music and drank a few beers. It was the most romantic way to spend an afternoon. 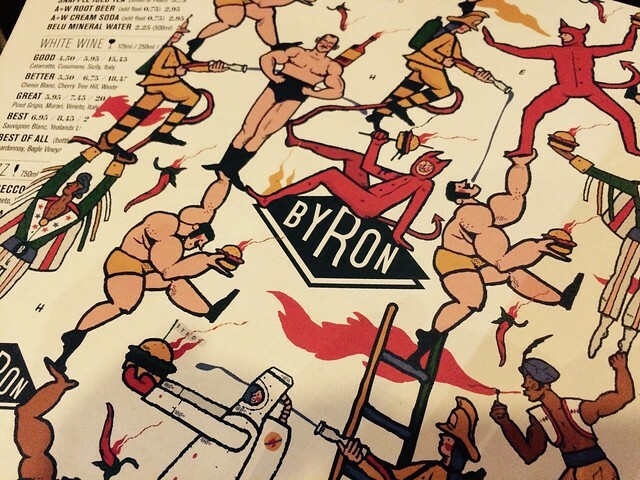 The evening began at Byron Burger – we opted for casual, rather than a three-course affair. I’m so glad we did, because again the atmosphere was brilliant. The seating, layout, and setting were spot on. And the food… I chose the grilled Portobello mushroom, whilst Simon went for the Smoky one. G-O-R-G-E-O-U-S. 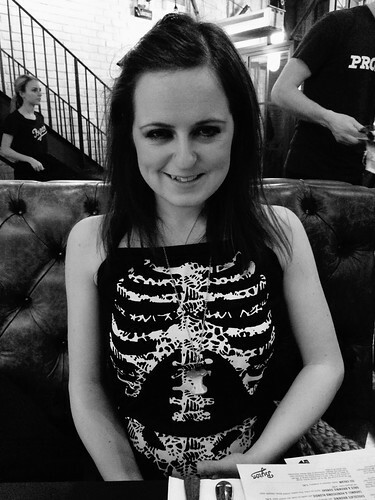 I decided to wear my skeleton dress – which could be confused as Halloween attire, but that’s the beauty of it. When I wear this dress I feel a whole different me! And yes, I’ve worn it many a Halloween, on my honeymoon in San Francisco and now in Liverpool. There was a little method in my madness, as we highly anticipated a secret bar later in the night … named Berry & Rye. Well, the beauty of secrets is, they are best kept secret. All I can say is mystery is a must. This was truly the best Valentines yet – we can’t thank you enough . Aw, what a lovely trip this looks to have been. 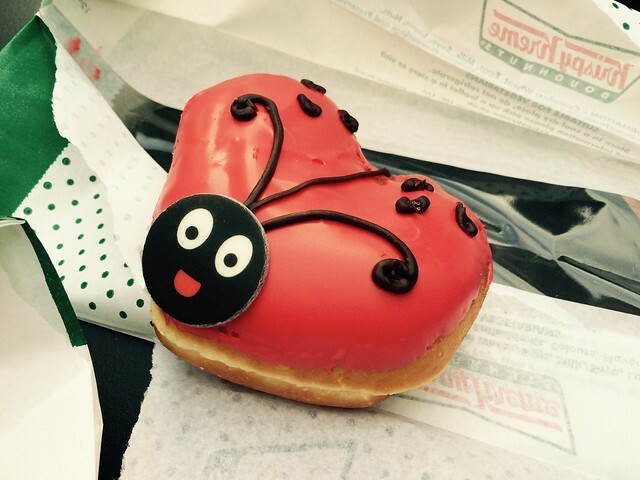 Is that a ladybug donut?! I love Bold Street and the Cavern Club sounds amazing- will definitely have to go there! 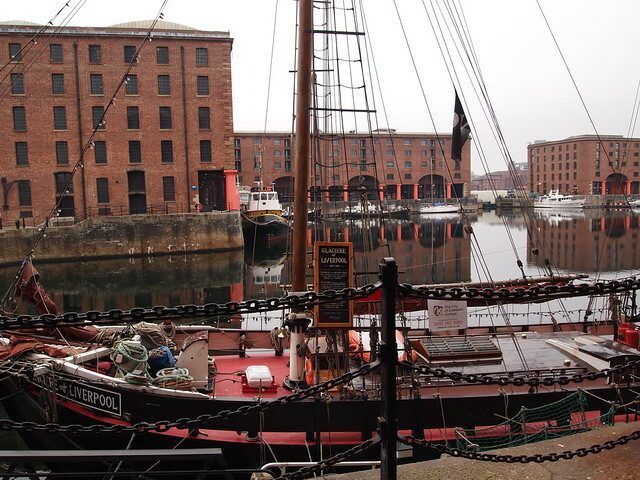 Liverpool is such a great city; I love it there but my boyfriend needs to go soon too. Liverpool is always one of those cities I always planned on visiting, but never got around too. Especially with growing up with Beatles music and an interest in their social history I would love a visit around all the museums and their former homes. Also so much love for that doughnut! Oh Rachael the doughnut was so good! (Krispy Kreme magic) Liverpool is wonderful and I dont really know why we didn't visit sooner...duh!